Native Americans, primarily the Osage Nation, occupied the Ozarks. thinkers. In fact they thought the White Man was quite uncivilized. furnishings are from the late 1890's and early 1900's. What is it? A hog shed? A smoke house? 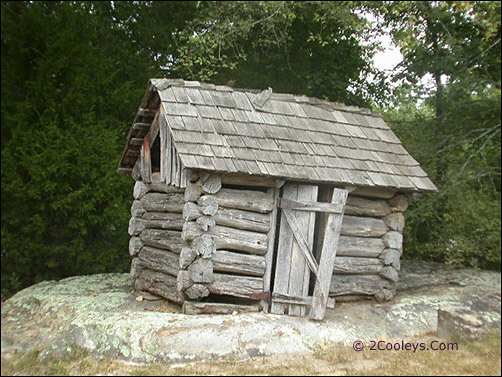 An outhouse? Chicken coop? 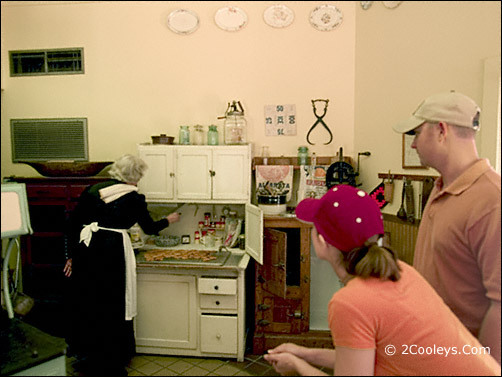 Country Kitchen next to the Heritage Herb Garden. Sound good? It is!